Add a special touch to your festive table with this Candy Stripe Christmas Table Runner tutorial by Sew Delicious. With a simple design ideal for beginners, you’ll have it whipped up in just one afternoon! With the holidays coming up, what better way to dress up the boys than with a dapper vest? Get the FREE vest pattern and tutorial from Melly Sews here. Table Runner or Hot Pad? Both! Tired of using a random collection of trivets and hot pads when you serve big holiday meals? Here’s the solution! This reversible table runner is insulated to protect your table from hot serving dishes this Thanksgiving and beyond. It’s a quick, afternoon project; get the tutorial at The Inspired Wren and be ready for the holidays in no time. 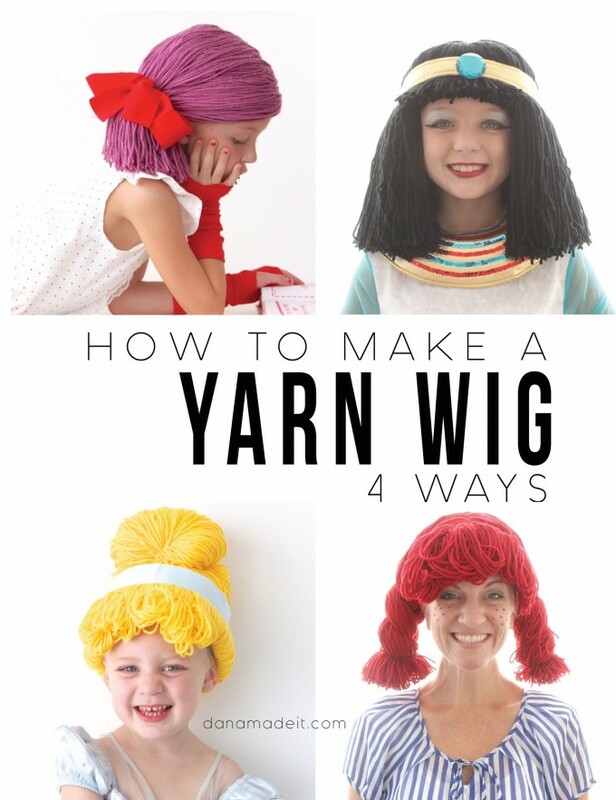 Need a yarn wig (or four) for Halloween? Or maybe just for everyday dress up? These are the perfect homemade toppers for ready-to-wear costumes. Learn how to sew one here! The holidays are around the corner and in my world, that means company. Now, I like to set a nice table just like the rest of us but never seem to find the linens that I love. 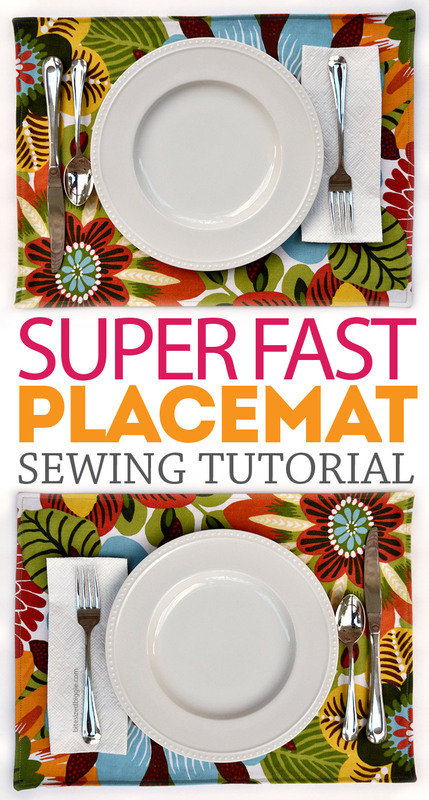 With the help of this how to make a placemat project, I can easily pick out matching fabric and transform my table-scape into a fantastic spread for all to admire! Think Martha people… these easy placemats are that good! Make these easy quilted pillows – no piecing required! 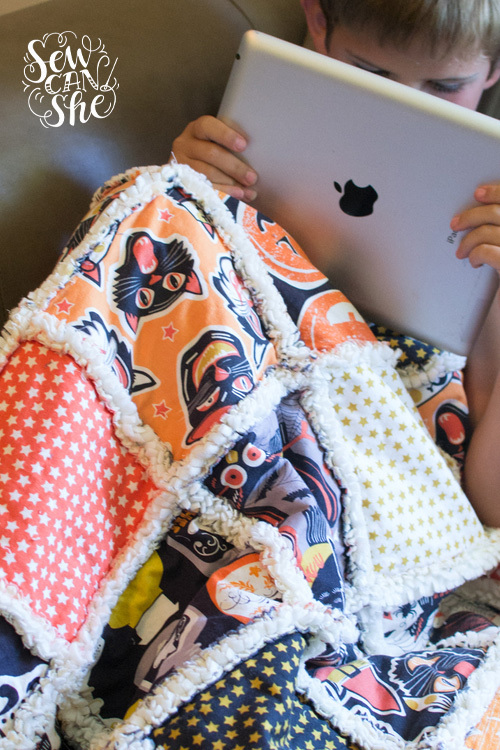 This is a perfect project for those who wan to dip their toes into quilting. Get the tutorial here. Superhero Halloween costumes don’t have to be difficult and time-consuming. Sew easy and realistic superhero costumes for your little one in less than an hour. If you play your cards right, it can even be used throughout the year in the dress-up box or as pajamas! And the smile that goes along with it will be priceless. 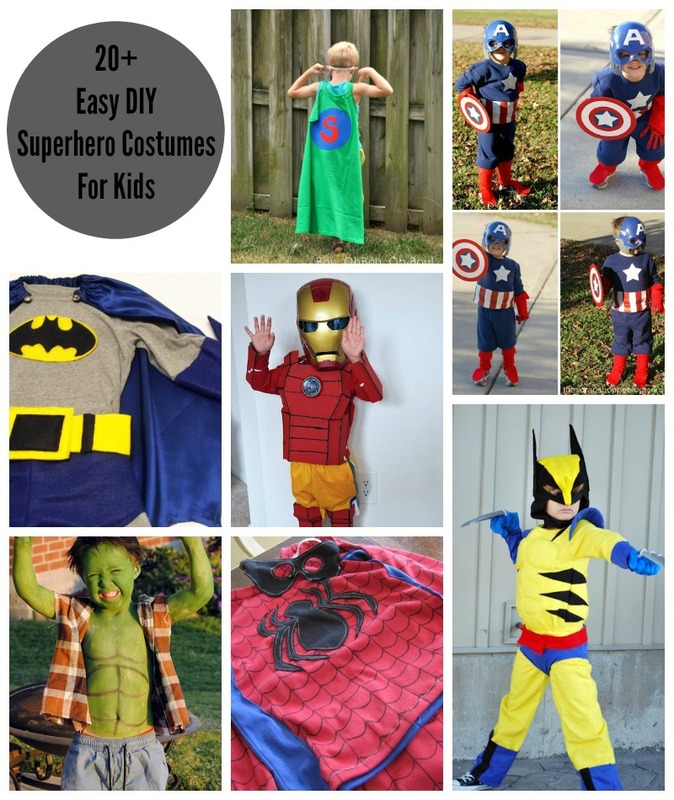 Click on over to see 20+ Easy DIY Superhero Costumes that are great for both boys and girls! As the cooler weather approaches, what’s more fun than snuggling under a soft and cozy quilt with your favorite snuggle bugs? This rag quilt tutorial is the fastest and softest yet. It uses quilting cotton fabrics on the front (hello 8” scraps! ), flannel as the middle layer, and soft fleece on the back. My Halloween quilt is getting lots of use and I’ve already started on our Christmas one! Visit the Soft and Cozy Rag Quilt Tutorial here. It’s Fall!! 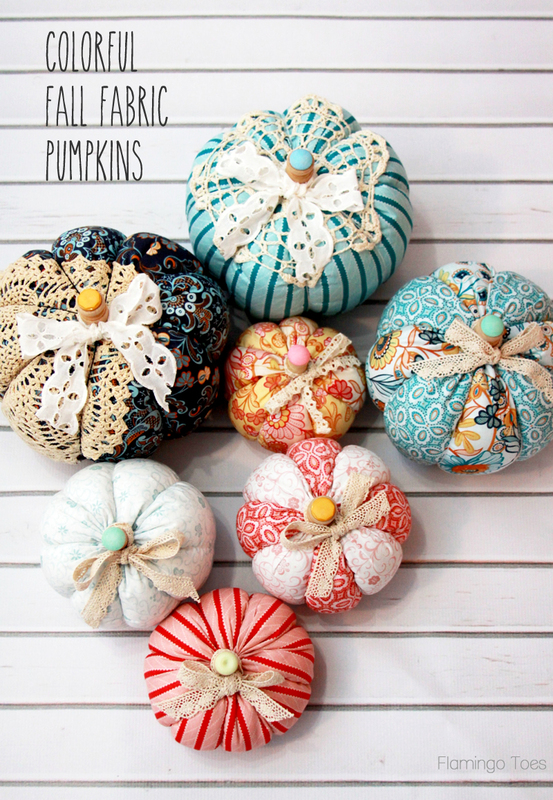 It’s time for sweaters and cute scarves and cider and of course – all things pumpkin! 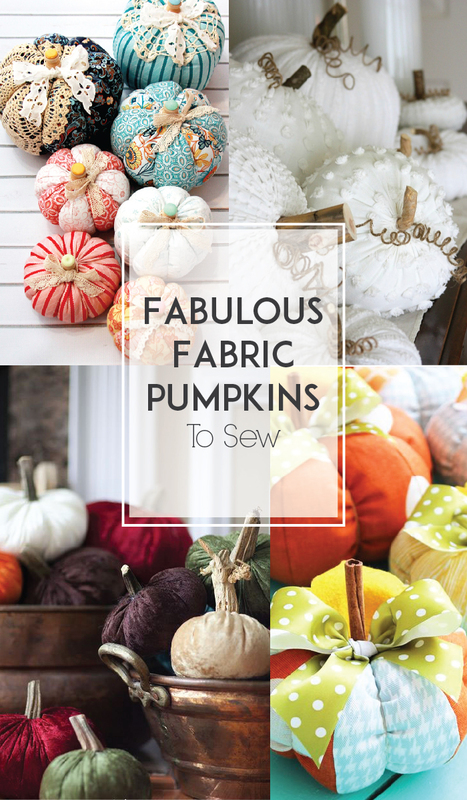 I’ve gathered up some darling fabric pumpkin tutorials – so you don’t have to wait for them to hit the stores or worry about them getting old – you can decorate with them for as long as you’d like! Which one are you going to try first? 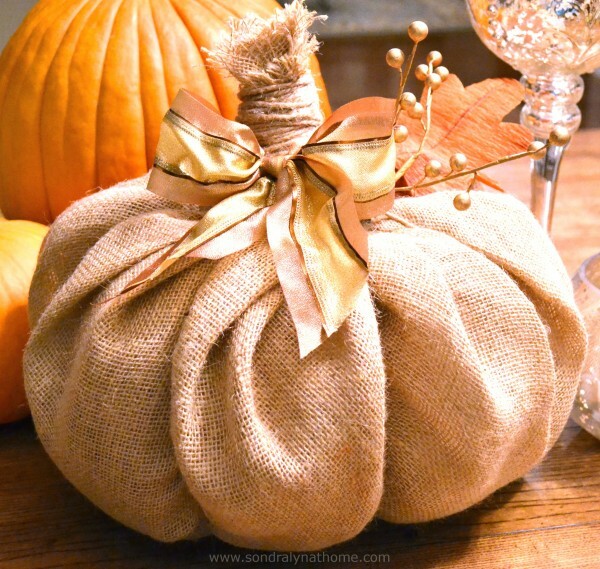 I think I’m going to make up some Velvet Pumpkins! Those have been on my to-do list for ever! Men shouldn’t be left out of sewing! Sew a men’s t-shirt with this FREE pattern from Melly Sews. Get the tutorial and pattern here.